Thrifted. Not smelly, just several old cobwebs with collected dust. Pretty good shape too. Vintage Suitcases. The smallest is in very good condition all over. The others show their age. All the latches work smoothly. A favourite kind of thrifted find. Small brown trimmed on tan, paper lined, topstitched suitcase, England, Noton Cheney on Lock. Pretty good inside too, some old staining on left hand upper pocket. Also found two black cardboard suitcases, clean inside, lots of authentic wear. One is marked Stanford USA, Excelsor Black. It is a worn, clean interior cardbord suitcase. 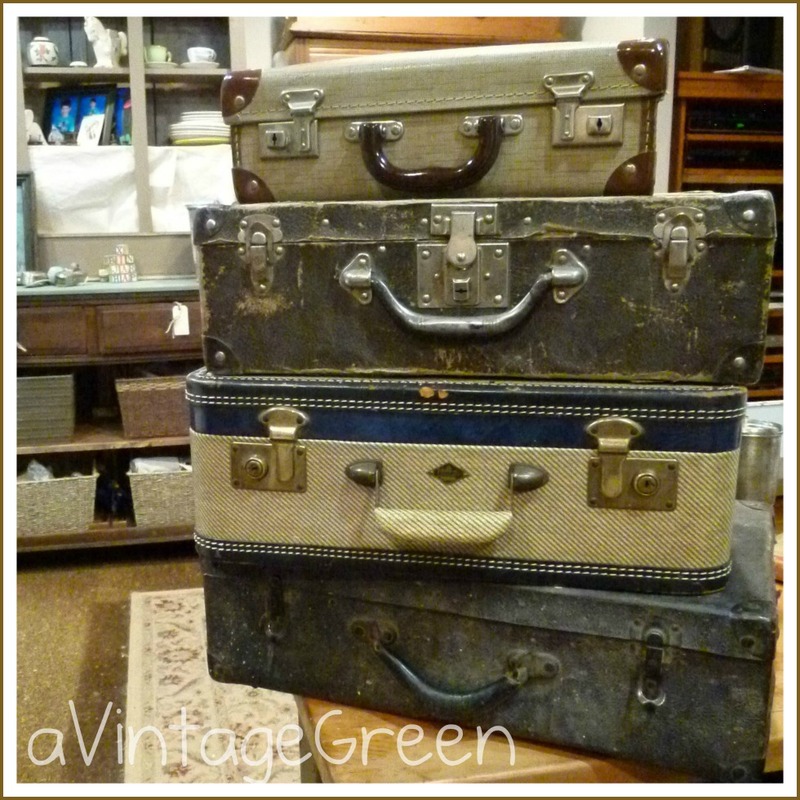 oh I love your vintage suitcases! They look great! I want to add on to my collection since I only have one so far. Thanks for sharing! oh my gosh. those are GORGEOUS. what a great find! 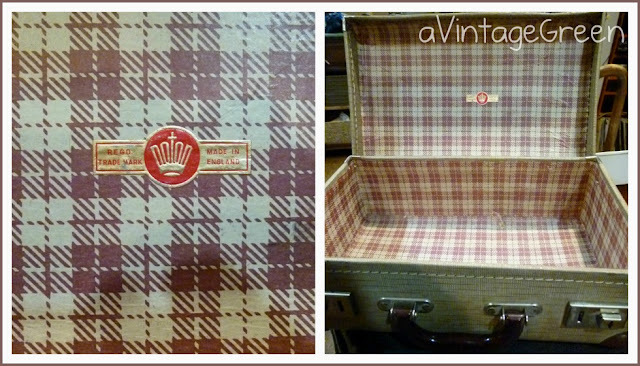 Love the suitcase with plaid interior! Very cool! I love vintage suitcases. 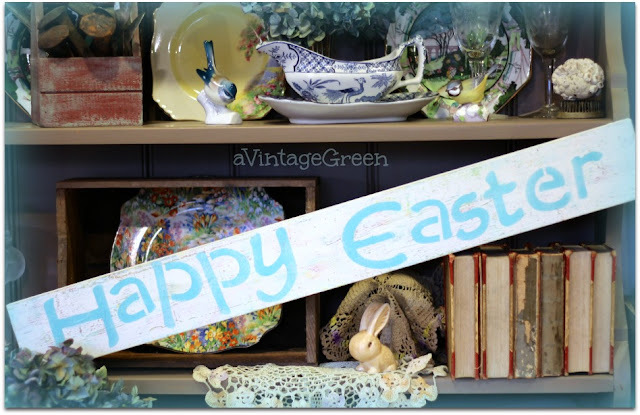 I used to find them quite often in thrift stores, but it seems now they're harder and harder to find (and more expensive to buy). Oh boy I'm jumping for Joy really. I love your suitcases. My collection is small but my favorite is my cardboard one. love that plaid inside! and the big ol stitching outside! 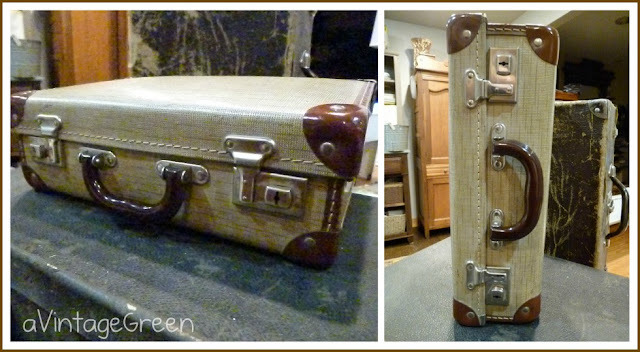 My dad gave me his old suitcase which he had made in the 1950's. It's leather with reinforced corners and is really beautiful.I use it to keep all my family history stuff in it, very appropriate I think! What a lovely stack of suitcases. How perfect are these! Love them together too... Just found you through the vintage linky at Knick of Time... Love your style and happy to be following along! Wow! Love the stack of cases! 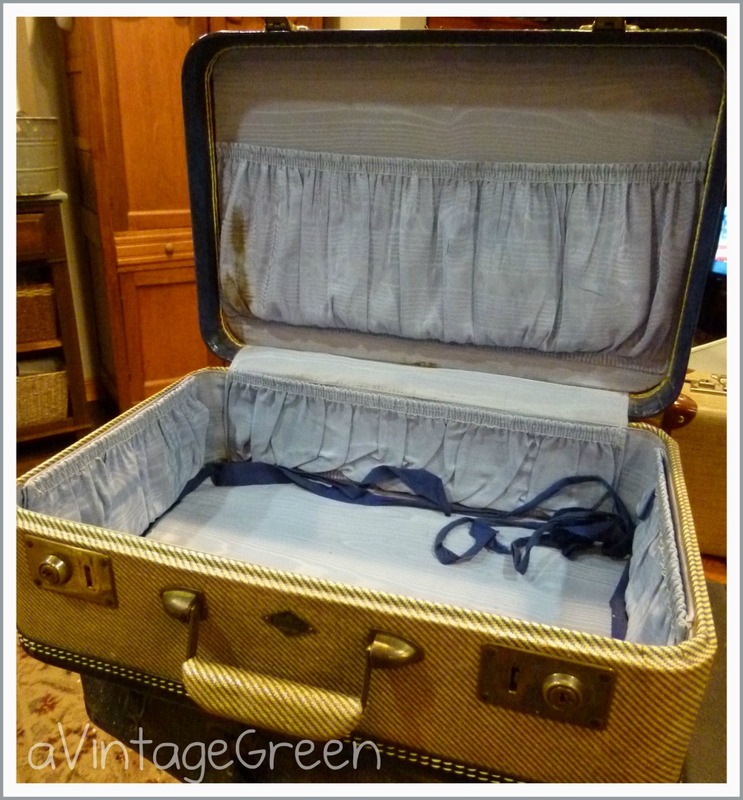 I can't pass up a 'good' suitcase! They are so useful! What a nice collection of suitcases. Just imagine the places they have been. Those are great suitcases. They are getting hard to find. Hi, just found your blog. Love your suitcase finds. 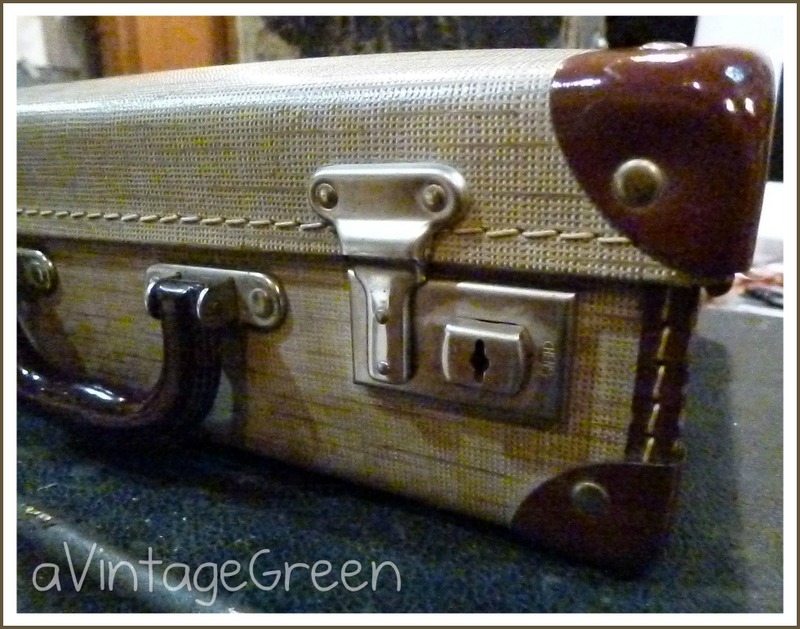 Vintage suitcases are so much fun. I always pick them up when I find them. I have a new linky party, Share Your Cup Thursday. I would love if you would link these up. I am now a new follower. 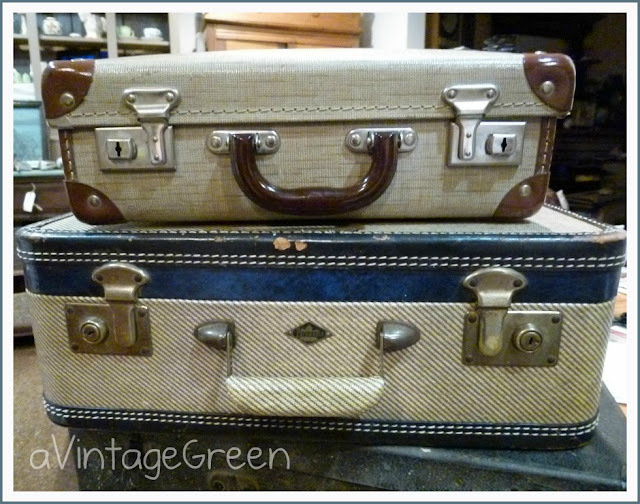 Dreamy looking suitcases! I love them so much my husband says if we ever move we won't need to use boxes -we just need to pack up all the vintage suitecase we have in each room LOL! I am also a new follower! 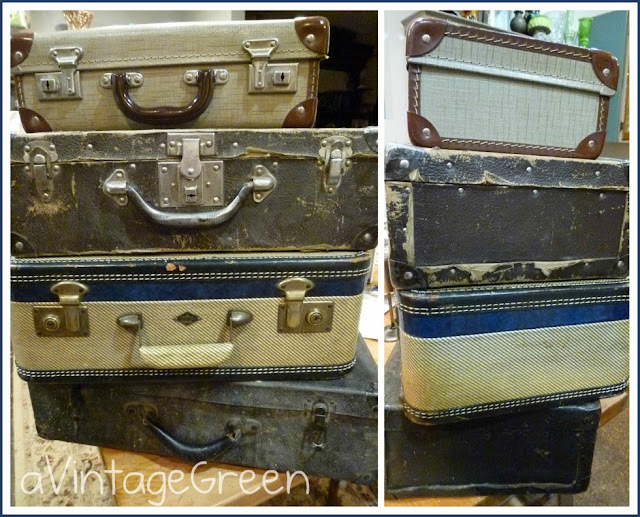 What a great collection of suitcases! So fun to decorate with, and added bonus you can store stuff in them! Nothing better than vintage suitcases! Love the plaid inside that one! 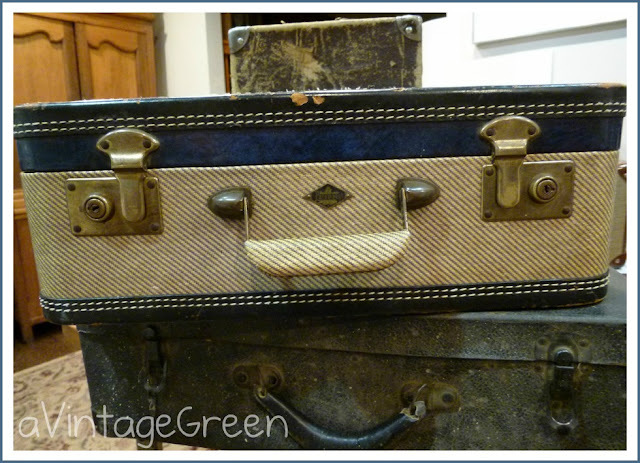 Vintage suitcases are a great find, especially when you get ones that don't smell bad. They are great to store old magazines in and they just look good to use as displays and props.